The long-awaited biography of Arthur Stace, ‘Mr. 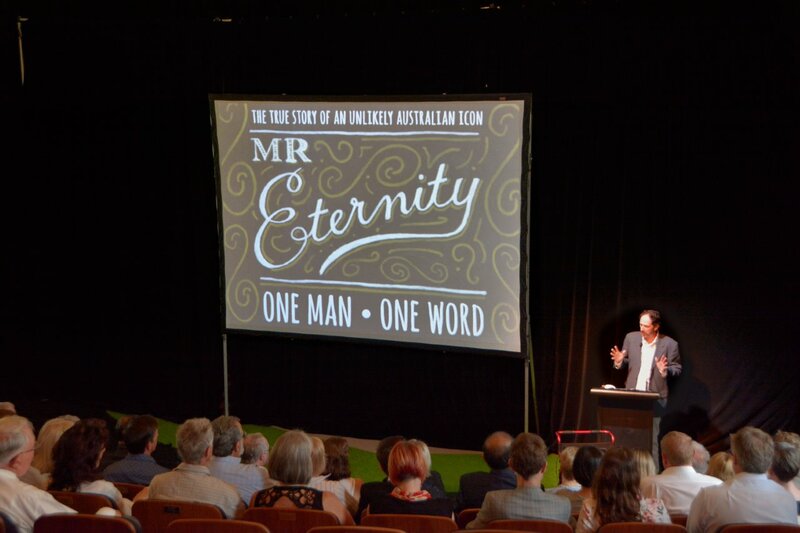 Eternity’, was launched by Bible Society Australia in Sydney yesterday. ‘Mr. 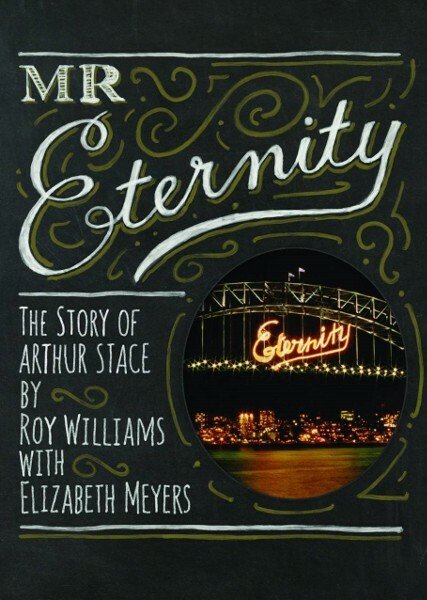 Eternity: The story of Arthur Stace’ is the fulfilment of a long-term project by Elizabeth Meyers, daughter of the Rev. Lisle Thompson, Minister of Burton Street Tabernacle 1951 – 1964. 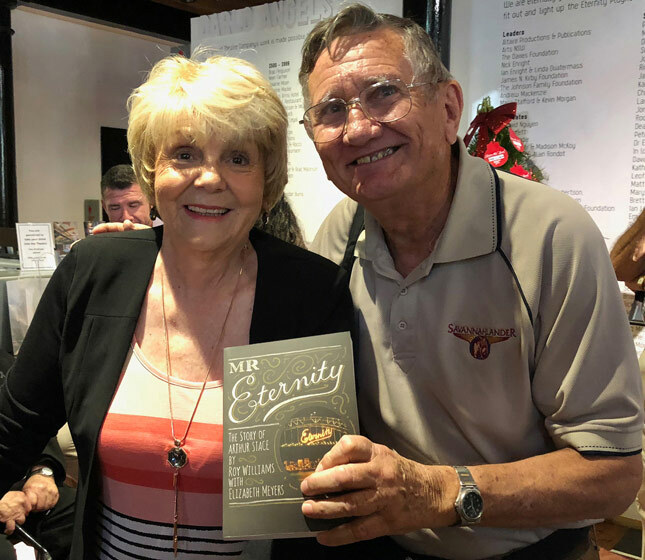 She was joined by Roy Williams (author of ‘In God They Trust’) who continued her research to help complete the book. The pair uncovered previously unpublished details of Arthur’s life and background. Roy Williams introduces the book. Photo by Trevor Dallen. To coincide with the publication, Lisle Thompson’s 1956 tract, ‘The Crooked Made Straight’, has been updated and reissued. Photo: At the launch, Elizabeth Meyers, with Fairfax photographer Trevor Dallen, who took the iconic photos of Arthur Stace in 1963. The book, published by Acorn Press, is available from Bible Society. Companion material has also been published here. Unfamiliar with the story of Arthur Stace? You can read our earlier potted version here and related posts.